For a company known for its mobile chargers and power banks, Anker has done a great job providing affordable headphones that provide some great audio options for when you’re on the go. The Soundcore Life 2 headphones cost £80, making them affordable for most people who don’t have lots of disposable income, and whilst there are seldom issues that hindered my enjoyment, the noise-cancelling and ‘BassUp’ feature make them a decent pair of wireless headphones. One of the coolest and most practical features of the headphones is the ability to fold them up, making them compact and easy to fit in your bag. They include a sturdy carry case for you to transport them in, and once folded they take up much less room than when fully constructed. 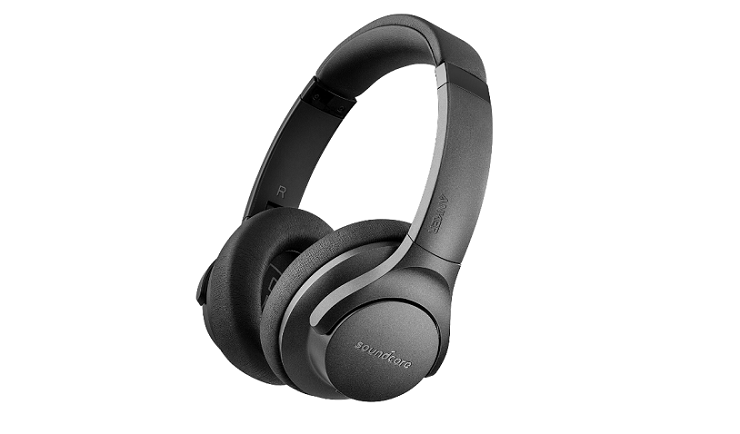 They’re incredibly comfortable when over the ears, and even without the ANC (active noise-cancelling) in use, the headphones still provide a significant muffling of any outside noise. The headphones connect via Bluetooth technology, and did so first time when I fist used them. They boast a 30-hour battery life when fully charged, even when using the ANC, and there was never a dip in quality. I used them constantly for a good three weeks whilst walking to work and back (around 30 minutes each day), as well as at home listening to my favourite podcasts, and the sound was consistently clear. Even when plugged in and using the ANC, the headphones will last for a staggering 60 hours. Due to the lightness of the headphones and the sheer comfort of them (thanks to the memory foam on each ear cup), continuous use never irritates the ears, so if you’re looking for a comfortable pair of headphones that fit even the largest of heads (like mine), these are definitely something you should consider. The audio noise-cancelling functionality is activated by a button on the left ear cup, and provides significant cancellation of passing traffic, chatter, and even nearby TVs or radios. Whilst some sound do bleed through, they do a magnificent job in most scenarios, especially when you’re listening to something with a little more oomph. I decided to take them to a Derby County match to test them out fully, and whilst waiting for kick off, I could listen to my music without a huge disruption; they’re the real deal, folks. The Soundcore Life 2 wireless headphones offer the ‘BassUp’ features, fundamentally improving the bass when listening to music that has a sick beat (that’s what the kids say, right?). I’ve listened to a lot of The Prodigy over the last few months, and using this feature made my listening enjoyment much greater. Occasionally, there’s some distortion, but as long as you’re monitoring the volume it only happens when it’s maxed out. Touching on the volume briefly, I’ve had many headphones that can cope with a louder volume much better, and whilst the max volume isn’t as loud as I’d like, it’s still satisfying. Incorporating the ANC and BassUp together makes for some great listening depending on the type of music you’re listening to. Kendrick Lamar and Childish Gambino sound amazing through the headphones, but some dubstep, dance, and drum n’ bass can affect the quality when using the BassUp capability. For the cost of the headphones, there aren’t many that provide the same benefits that Anker’s Soundcore Life 2 do. They are comfortable, have excellent battery life, and also have excellent sound output for most types of music at a high volume. The BassUp technology works well almost all the time, but sometimes can distort when listening at high volumes. Regardless, these are great headphones that you should look to buy if you’re on a budget. The Soundcore Life 2 wireless headphones are excellent value for money, and despite some issues with the BassUp functionality, they offer plenty of positives.